This beautiful beach house is situated on the golden sands of Natai beach facing the turquoise waters of the Andaman Sea. The residence comprises of three absolute beachfront villas and an amazing penthouse and can sleep a maximum of 20 people. When staying, we want you to completely let go. Each villa has a dedicated team including a driver, butler, chef, spa therapist and a housekeeper. That doesn't include the kids hotel, which can sleep 10 children with 24 hour supervision by experienced nanny's. Book your suite experience from $895 per person. 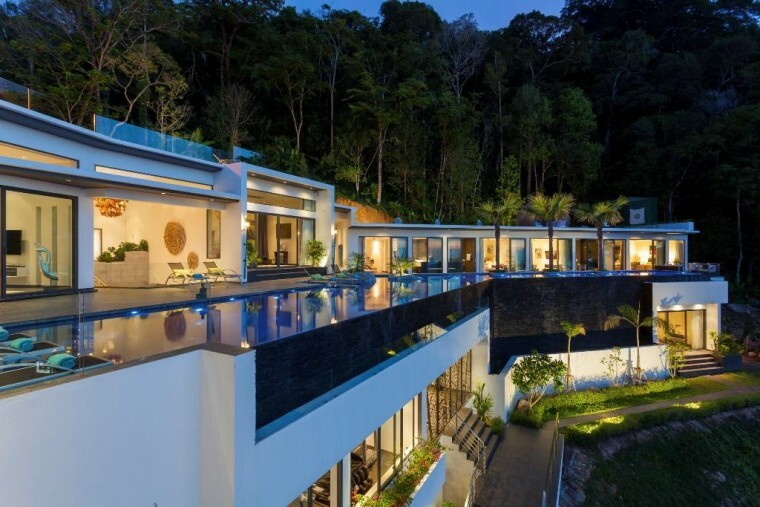 Currently we can offer some of the best villas in Phuket with 5, 6 and 8 bedrooms. In our opinion these villas offer some of the best value in Surin Beach. For more information click on the image below.